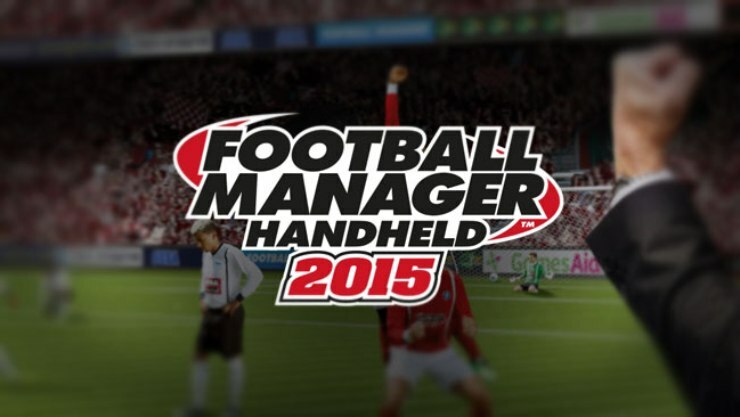 Being able to take Football Manager on the move must have stopped the productivity of so many people over the last few years. The mobile version has always managed to transfer the basic aspects of the game, especially those that make it almost impossible to put down, but fans have often been left without more advanced options. Unfortunately, this year’s mobile entry seems to be no different. Obviously you can still join a team and guide them through multiple seasons, buying and selling players as you wish and selecting the starting line up every week, which is still great fun. However, deeper tactical options are clearly missing. Assigning individual players roles within the team or giving them specific instructions is very simplistic and getting an individual to man mark an opponent seems to be impossible, despite being a corner stone of shutting down many teams. Giving your team instructions mid game consists of telling them to attack, defend or be balanced, how hard to tackle and whether to use 4 very basic pre-defined tactics. The traditional slew of news stories every day is still a feature, but you still cannot click directly on a team/player/league name to go to the respective screen; instead you have to bring up a separate menu for said news story, which will then take you where you want to go. 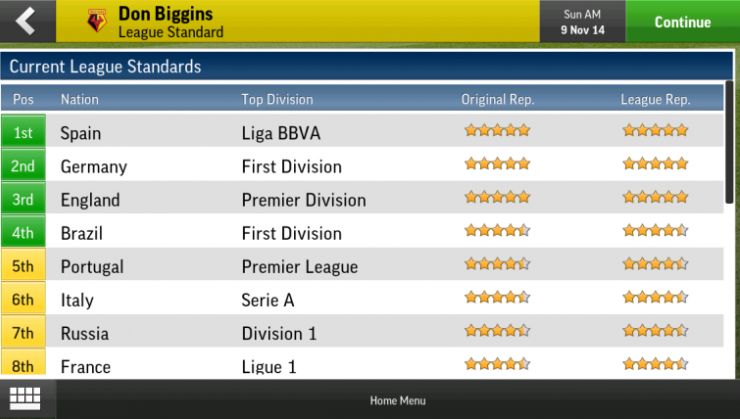 This is just one instance of the over reliance on menus that plagues the mobile version of Football Manager. Astonishingly for a game with so many menus, they are awful to navigate. Often when you try to tap and drag it will just register the tap, and open up another menu. Occasionally button presses don’t seem to register at all; swiping to change to another menu (which to be fair is great when it works) is often interpreted as a normal tap and in a few cases so much data is represented on a single page it becomes difficult to read. However, it’s not all bad. The updated (but still 2D) match engine looks great, and is very clear; you can actually tell when you score a great goal compared to an average one. The text descriptions of the on-pitch action have quite a bit of variety and the old-fashioned pause after telling you the ref is reaching for his pocket is as nerve racking as it has ever been. Although some basic features are missing there is still a lot on offer. You can set (fairly rudimentary) training regimes for individual players, keep an eye on what appears to be an ever-changing reserve squad and call up said reserve players to give them a chance in the big leagues. For anyone planning on playing for more than a few seasons, your reserve squad will become one of your most valuable assets. Buying and selling players is relatively easy, providing you have reasonable funds. I have two different saves, one with Man U and one with the mighty Boston United and in both games I have managed to sign a couple of decent players easily. Although as a general rule you can expect to pay about double a players value, unless they specifically want to leave their current club. However, searching for players isn’t always easy. The search tools, if you don’t know a player’s name are not great and if you know what club they play for you will have to navigate to that leagues table in order to see the team and find your next signing. You do have access to two scouts who can search across the globe for both youth and senior players and they do come back with some good suggestions. Scouts will also give you a brief sentence about the target’s ability compared to players already at your club, so you will know if you’re getting an improvement in a position or if it’s a bit of a waste of precious funds. Micro-transactions do feature, offering a range of items such as managerial challenges where your board sells all your good players and you are left with a youth squad or, on the opposite end of the spectrum, you can put down some real money to get a rich investor to take over your club, so you have no financial worries. You can also purchase the ability to manage a national team as well as your club, which perhaps should be included in the standard game. The options are there for those that want them but they can very easily be ignored, and I would wager that it’s a better experience if you do. It might sound like I am hating on FMH 2015, but really it’s a case of a lot of small annoyances within what is ultimately a good game. 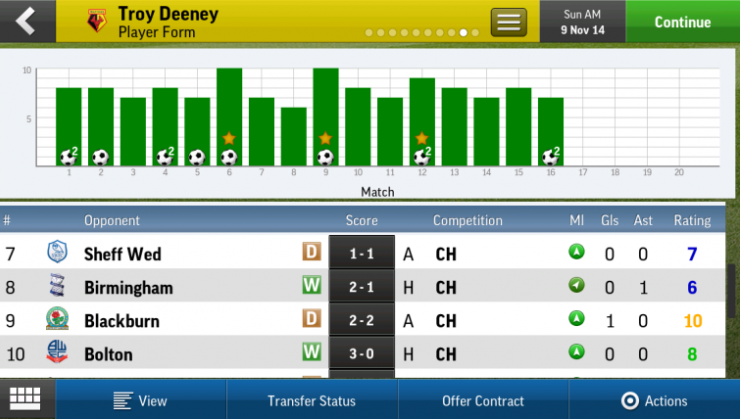 Sure it’s nowhere near as feature-rich as the PC version and there are quite a few glaring omissions that really should be included, but at the end of the day anyone looking for a football management sim on mobile won’t find a better alternative, and will probably end up losing many hours of their life to Football Manager Handheld 2015. A stripped-down version of its desktop counterpart that still provides the series’ addictive gameplay.